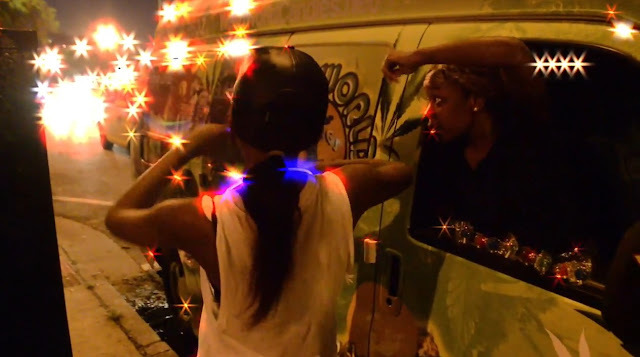 YouTube videos show people lined up at similar vans across Chicago, buying lollipops with flavors like “Lemon Drop Kush,” “The Purple Urkle” and “Herojuana." 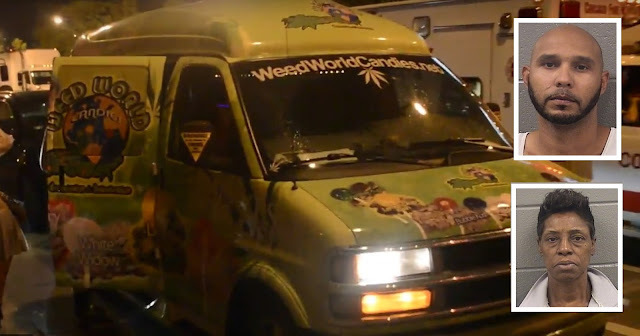 Surely those friendly folks in the van aren't selling pot-laced candy in the open like that, right? Yes, they are, prosecutors said—charging two people with peddling $97,952 worth of allegedly pot-infused snacks from a “Weed World” van on State Street this weekend. It all began with a routine 911 call around 7:15 p.m. on Saturday. Cops pulled up to the corner of State and Erie—less than 30 yards from the three-flat building where former President Barack Obama started his law career—and there it was. “The side of the van has pictures of color lollipops with the name of the flavor,” officers later said. First, 51-year-old Robin Moss of Birmingham, AL, was arrested for violating the city’s open liquor container law. But that Coors Light would soon become the least of her problems. As Moss was being locked up, the van's driver, 36-year-old Bradly Griggs of Douglasville, GA, reportedly told officers that he had a gun in the van—but that he has a concealed carry permit back home in Georgia. So, he was detained for the weapons charge. And that would soon become the least of his problems. Because police began inventorying the cannabis cruiser for impound. Bags of lollipops—“blue, teal, orange, green, red, and pink” believed to be infused with cannabis were found. Prosecutors said there were six heat-sealed bags of “green paste” believed to be pot; thirteen pot-laced brownies; and eight weed-whacked Rice Krispies. 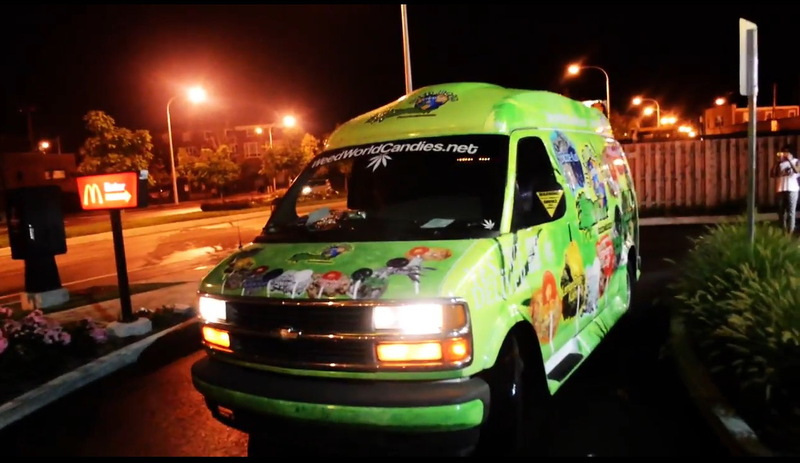 Altogether, police say they recovered 6,122 grams of marijuana product worth $97,952 from the van. 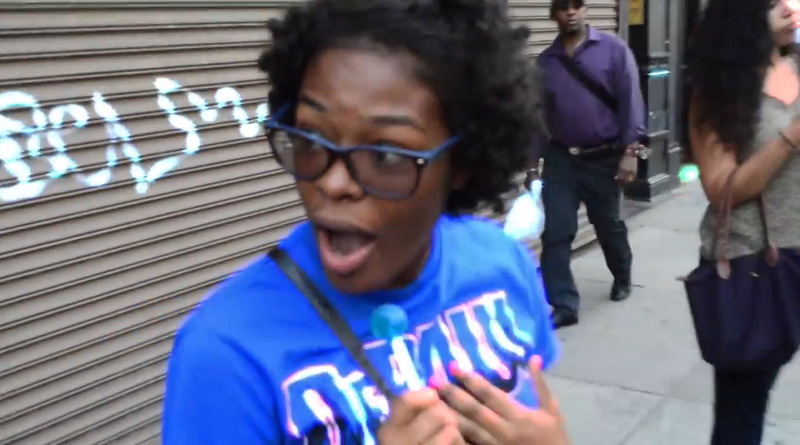 And, yes, there was a gun. A Ruger 9-millimeter with a loaded 16-shot magazine, according to police department records. Moss is charged with Class X felony manufacture-delivery of over 5000 grams of cannabis; felony possession of more than 5000 grams of cannabis; felony possession of cocaine; and drinking on the public way. Griggs is charged with Class X felony manufacture-delivery of over 5000 grams of cannabis; felony possession of more than 5000 grams of cannabis; and unlawful use of a firearm. Bond for each is set at $50,000. It seems that many past customers aren’t pleased with Weed World’s products. The company’s New Orleans and Manhattan Yelp reviews claim that the candies don’t have any THC in them at all. And the baked goods sucked.